But it wasn’t true. In fact, the link wasn’t even an “article” at all, but an advertisement made to look like a story, placed on the Post’s site not by its editorial staff but through a third-party media buyer. Once viewers clicked on the link, they were sent to a site that sold nutritional supplements. LeBron isn’t the only celebrity to fall victim to this latest strand in the fake news epidemic. The New York Times recently reported that similar ads have claimed that Melania Trump has moved out of the White House and that televangelist Joel Osteen is planning to leave his wife. Gone are the days when “fake news” implied hyperpartisan conspiracy sites that dupe gullible readers, or even Russia-funded social media campaigns to influence U.S. elections. The practice has now evolved to include a commercialized misinformation analogue that Google calls “tabloid cloaking,” or phony news items with attention-grabbing headlines that are actually ads, typically placed through Google’s AdWords service, which appear on otherwise legitimate news outlets. The problem is now so prevalent that, ironically, these ads have even made recent appearances on fact-checking sites such as Politifact and Snopes. The scourge of fake news is not merely a technological issue; it’s a psychological issue as well. It underscores the problem of confirmation biases and how we willfully gravitate toward information that parrots our preconceived worldviews. Add to this a decentralized and democratized media environment, complete with the automated ad systems upon which so much of the web is now built around, and it’s no wonder why the problem is so pervasive today. It’s also why there’s plenty of blame to go around for its cause. Unfortunately, the pariah of fake news and the havoc it’s afflicted on the media and communications industries has been complicated by the immutable fact that no one seems to want to take ownership of the problem, with our experts — publishers, tech leaders, content providers and marketers — offering solutions that thus far seem as disparate as fake news’ growing list of victims. Any consensus regarding who’s to blame for this complex problem seems to change depending on what industry you ask. When it comes to marketing practitioners, research shows that most seem ready to point the finger at publishers. A December survey conducted by the Society for New Communications Research of the Conference Board found that 83 percent of U.S. marketers and advertisers believe publishers and media companies should be held accountable for fixing the fake news problem. Ask members of the press, however, and you’ll get a different story. An October Ogilvy survey of news professionals found that 24 percent of North American reporters lay the blame for fake news on social media, with the rest citing either a polarizing media environment or readers’ confirmation bias. And when it comes to the public, a December 2016 Morning Consult survey of more than 1,000 U.S. adults found that a near-equal percentage of Americans think search engines like Google (67 percent) as well as the person reading the news (66 percent) bear the responsibility in preventing the spread of phony news. What isn’t debatable is the fact that the rise of fake news has diminished consumers’ trust in the very real ads and editorial copy that often run adjacent to fake content online. A September National Journal study of senior-level policy influencers in Washington found that only 23 percent now claim to trust online-only media brands as a source of news. A December consumer survey commissioned by Two Sides found that while 56 percent of U.S. consumers trust the news items they read in printed newspapers, only 34 percent admitted trusting the news they see on social media. An August report published by the Reynolds Journalism Institute at the University of Missouri found that web-based news outlets now account for the least trusted media brands in America, regardless of whether those outlets lean left or right. Facebook, for its part, has promised a series of changes in recent months, overhauling its feed to de-emphasize news and other branded content in exchange for what it calls “meaningful social interactions” from individual feeds as well as more “trustworthy” news items, with an emphasis on local and regional news. Without question, Facebook’s reputation has suffered the most in the ensuing fake news furor, especially after it was revealed that as many as 126 million of the platform’s U.S. users had been exposed to Russian propaganda efforts during the 2016 election. A recent Verge survey found U.S. Internet users’ current the level of trust in the social media site now trails Amazon, Google, Microsoft, Apple and even banks. If digital media wants to move the needle in terms of regaining consumers’ trust, it might be worthwhile to consider the role each discipline plays in making that happen. One social media company can’t fix this alone. Marketers, publishers, the tech industry and even consumers have to take ownership of their respective spaces in the digital realm and ally with other uniquely positioned entities to find a solution. 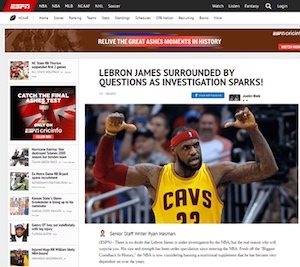 One company that’s doing just that is News Corp.’s social video unit, Storyful. That company, which supplies video content to networks and publishers, in 2016 added a risk and reputation initiative that provides a trust framework for publishers and brands. Storyful editor-in-chief Mandy Jenkins told O’Dwyer’s that the company is now in a partnership with analytics and measurement company Moat in which they maintain a constantly-updated list of fake news sites, providing them insights into the characteristics of fake news sources and where phony ads will likely appear. Knowing the ads’ content as well as their final destination not only allows them to warn clients regarding where not to place content, it provides an opportunity to work with the programmatic and third-party ad networks and get those fake ads booted from their rosters.